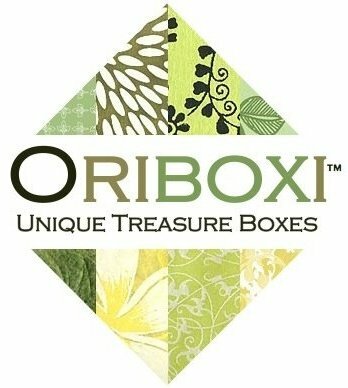 Facebook.com/Oriboxi fans receive first looks at new collections, and advance notice of Oriboxi’s online store launch, with exclusive discounts. At present, you may acquire my work at upcoming events in New York City. And follow me at Twitter.com/Oriboxi! You are invited to our Grand Opening Wine & Cheese Soiree on Friday, November 5, from seven to nine o’clock p.m. My guests who R.s.v.p. will each receive a gift box filled with Italian candy. Contact me at orders@Oriboxi.com, or call +1 (347) ORIBOXI (674-2694). Meet to select from my ready-made work, or to discuss a custom job. The consultation fee for custom work is $50.00, fully applicable to your final order. Join Facebook.com/Oriboxi and watch the Events tab for parties, benefits, and outdoor public shows and demonstrations. Bookmark Etsy.com/Shop/Oriboxi, and watch the Facebook Events page for news when my online store launches. ...for making their venues available for the sale or promotion of my work.